The Community Based Adult Services (CBAS) Program, now offered through CenCal Health, is adult day health care that offers recreational, medical and mental health services to qualified participants through publicly sponsored health care programs. Care to these individuals was threatened in mid-2011 when the State of California announced an end to the then Adult Day Health Care Program in order to help address the State’s budget deficit. However, the consequence of ending the program would be to displace tens of thousands of vulnerable individuals state-wide, many with nowhere else to go, except into expensive nursing home care. However, as the result of a legal challenge to the program’s elimination, the State turned to plans like CenCal Health to quickly and effectively implement a new program to keep these vulnerable people with their families and out of institutional care. The result was the CBAS program, which took effect this past July. The CBAS Program helps frail and vulnerable people stay with their families and in their communities for as long as possible by providing a safe, supervised and caring daytime environment. “This is a great program for people who would otherwise be home-bound or need to be placed in a nursing home or hospital,” said Bob Freeman, CEO of CenCal Health. “Institutionalization leads to higher costs for patients, their families, insurance companies, and eventually, taxpayers. 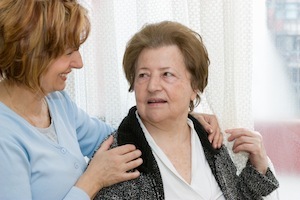 People also tend to do better when they can live in their own home and continue to be contributing members of society.” In addition to providing better long-term outcomes for participants, the CBAS Program provides consistent and reliable relief for family caregivers to allow them to focus on their own mental and physical wellbeing, which can often be difficult when caring for an aging or developmentally disabled loved one. Currently there is one CenCal CBAS program in operation on the Central Coast, in partnership with Life Steps Foundation, at the Wisdom Center, in Santa Maria. CenCal Health and Wisdom Center staff implemented new patient health status and referral assessments, as well as processes for quick and accurate reimbursement to the Wisdom Center. Program eligibility is determined by the State of California and is limited to geographic areas near the centers. CenCal Health administers several publicly-sponsored health care programs for low income residents of Santa Barbara and San Luis Obispo counties. CenCal Health is a public entity that is governed by a 13 member Board of Directors appointed by the Santa Barbara and San Luis Obispo county boards of supervisors. Its Board of Directors is composed of local government, physicians, hospital, member, other health care provider and business representatives. For more information, click here or call 805-562-1024.